« July 18: Summer Intensive Shin-Seminar has started! 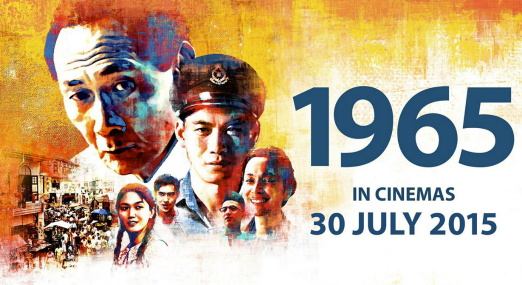 Early in August, I watched a film “1965” with my wife at one cinema complex of Clementi, Singapore. It is a story from 1964 race riot, kick out from the Federation of Malaysia, to 1965 independence declared by the Prime Minister Lee Kuan Yew breaking into tears. Although it should be categorized as one of the most sophisticated propaganda films, people, especially Japanese can learn a lot about the effort and significance of building a multi-racial nation from it. Needless to say, handing down one’s war memories and learning history of the war time are important. However, they will not work well if those memories and history became solid and stiff like stones. It is necessary for us to make them soft and recover numerous voices, feelings, and a variety of perspectives. Most of war stories described by Japanese mass media in the summer of 2015 have seemed occupied by stones of Japanese, by Japanese, and for Japanese. In the film “1965”, they made dual stories of Malaysian and Chinese in a careful way. Today, August 9th, Singapore is celebrating their golden jubilee. Congratulations for all the people living in the tropical islands. I will keep learning a lot from you.